One of my favorite things about cool weather is plaid. That may sound silly, but seeing fall-colored plaids and ginghams make me so excited for the holidays. If you saw this photo on instagram over the weekend, you probably noticed my love for plaid...even cozy socks. When I saw this top + blanket scarf in J.Crew, I knew they would be great fall staples, alone or together. I love mixing prints (maybe a little too much, hence throwing in the leopard), but especially with plaid + gingham. I styled this outfit for a causal Sunday around town, but it would also be so cute with a skirt + tights. I'll be styling it a few different ways in the next couple of months, I'm sure! It has been SO cold here in Greenville the last few days. Last night it got down to 18 degrees!! Trust me, there's nothing that I love more than chilly, holiday weather, but it is literally freezing! 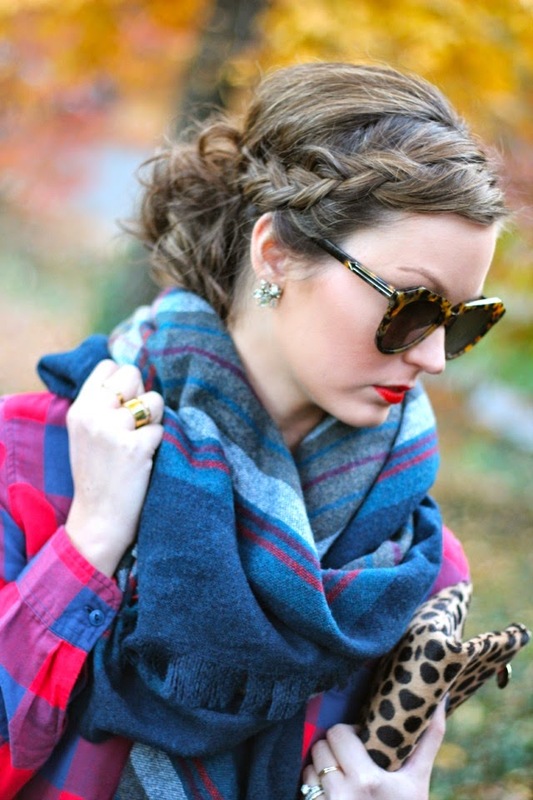 Luckily blanket scarves are totally in style, but completely functional right now, too! Tonight's definitely going to be a crockpot soup + hot chocolate for dessert kind of night! This is one of my favorite looks of yours! I LOVE the mixed prints! So pretty! I love this look! I've been wearing scarves nonstop because it is SO cold in Pennsylvania. 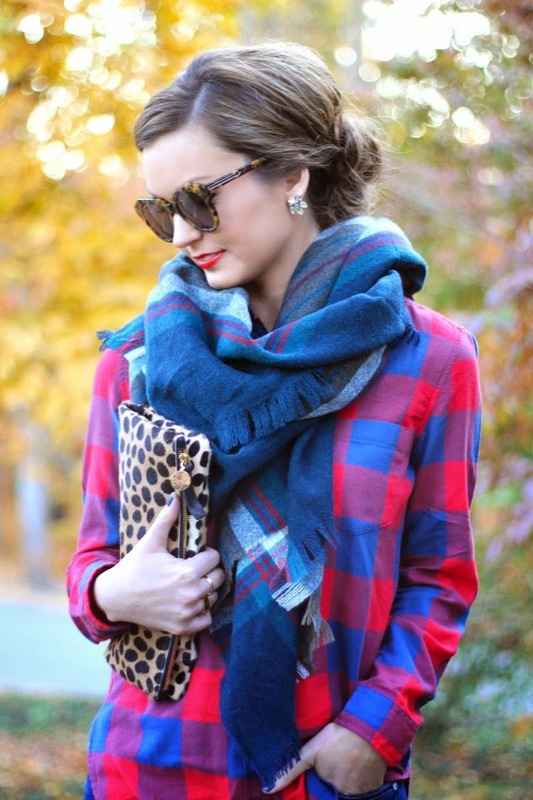 Need to try mixing leopard and plaid. 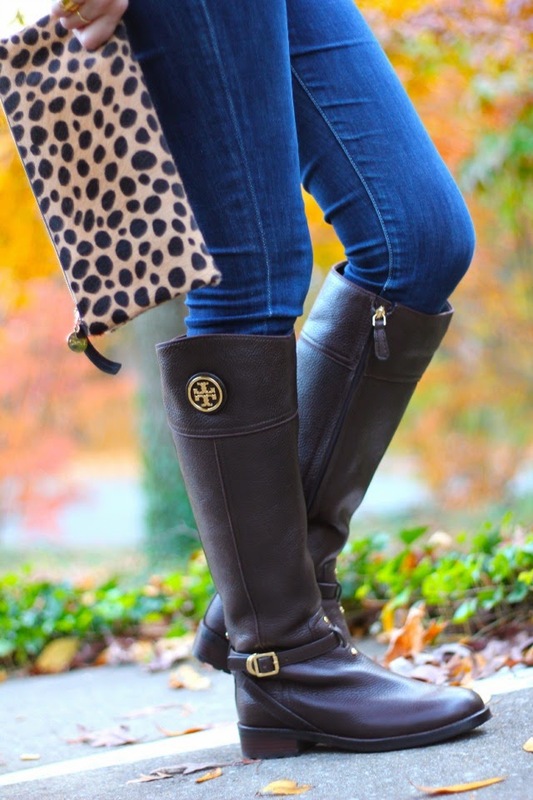 Love the plaid and those TB boots! Great look! The plaid mixed with the gingham is so different, but it just works! 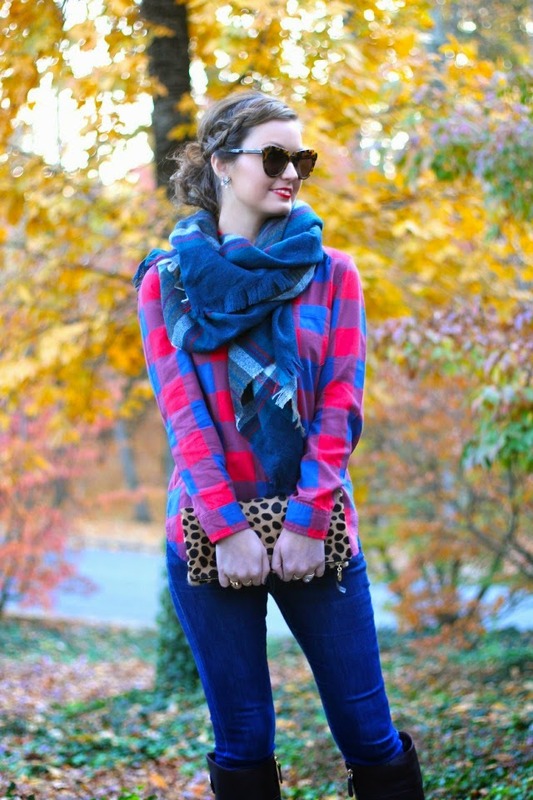 Love this plaid top! Such perfect colors! Love this entire look!